We have only your highest good in mind. All we think is the goodness we feel in our hearts for all of humanity. Your Earth is shifting into the higher dimensions at a rapid pace, and your loss of time is your confirmation of this shift. Notice how quickly your days pass. Disregard the negativity you read about and hear on the news. It is the last stand of the dark forces, as they rear their heads in one last battle to dominate the Earth. Their time is over. A new Earth is dawning, a new sun is rising, and a new heaven is at hand. A glorious time is approaching. It is the freedom you all dream of, being birthed into your present. 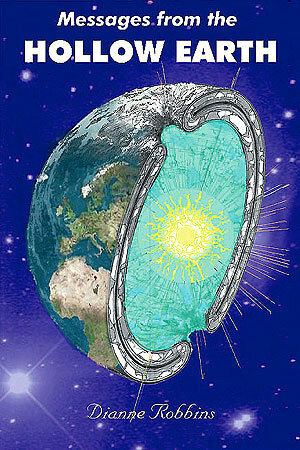 In the Hollow Earth, heaven is all we experience, and if there were clouds we would "walk on them" as your saying goes. Soon, you too, will feel the exuberance of "walking on clouds", as your clouds literally fade away and your atmosphere "lightens" up as the density dissolves and the pollution decreases, to bring your clarity of mind into focus as the new heaven descends upon your Earth plane and you, at last, can touch the stars. So much is happening at levels you are not consciously aware of yet, to bring you all fully into the Light and back into the Confederation of Planets. Earth has not been lost. On the contrary, it's been saved by the Lightworkers who are emitting more and more Light daily, and the company of heaven who have dedicated their lives to raising Earth into the higher vibrations. All life forms presently on Earth are opting for the ascension. However, some will ascend with the Earth and with us at this time, and the others who have been unconscious of their inner choices and unwilling to ascend at this time, will do so at a later time. Know that the Earth's ascension is assured. The people in the Hollow Earth are overjoyed with the rise in frequency that has taken place over the last few years. We yearn to connect with you in the physical, and now this connection is fully assured. We can even "guarantee" this, as you would say above. Yes, you are above us, but depth of location is irrelevant. For with peace coming to the planet, all life will be assured of rapid evolvement to make up for the lost days of darkness. Humanity has learned its lesson well, and has learned the futility of war and bickering, and cries now for an end to the insanity. And the end is coming. You are witnessing the last eruptions on the surface. From this point on, you will begin to see the merging of peoples, places and principles, as all come together in ONE UNITED EARTH. This is the day God has been waiting for. This is the day your holy God Selves have been praying for. This is the day we will open up the tunnel exits and come to you, with our brightly colored robes and sparkling sandals, bearing gifts of immense riches and the necessary devices that will return your planet to its pristine state once again, for we can solve all your pollution and sickness problems in just moments. I have dedicated the last 30 years of my life to bring through transmissions directly from the Inner Earth Realms and Nature Kingdoms, to help us understand the Interconnectivity of all Life on Earth - which is a Key to our Ascension. Contributing helps keep my books updated, my website current, and helps send out this monthly message! Plus, you will receive a FREE Message from the Crystal Nation with any contribution PLUS watch a bonus video of me reading the message!! By ordering directly from me – either through my website or by sending me a check or money order to: P.O. Box 844, Mt. Shasta, CA 96067, you are contributing to the support of my work. 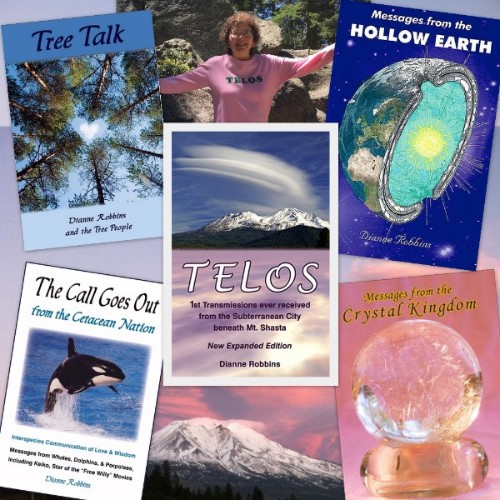 If you are in, or plan to be in the Mount Shasta area, and would like to meet me, I offer group presentations and individual and group Book Signings. Your support is greatly appreciated, and I thank you in advance! Many people, myself included, have already discovered the incredible health benefits of eating Spirulina on a daily basis. 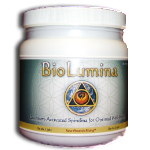 BioLumina is the highest vibrational Spirulina you can buy. Copyright © 2017 TELOS Connection, All rights reserved.